What if it’s not real? my daughter asks. I mean, what if none of that Jesus stuff happened and two thousand years of religion was based on it? What a total complete waste of energy. All the churches and wars and books and songs and stuff might be based on something that never existed. Just think of the amount of time people have spent on this stuff, she said. The St. Vrain Creek running through Lyons, Colorado is not directly named, as one might suppose, for Saint Veranus di Camillon, but instead for Ceran de Hault de Lassus de St. Vrain, a child born of French nobility in St. Louis in 1802, who later decamped to the American West in the 1830’s to establish himself in the fur trade. To distinguish himself from his brother, he appended the St. Vrain. He was responsible in part for the collapse of the Western beaver populations by 1842. He later helped crush the Taos uprising after the native Puebloans and Mexicans defending themselves against the invading Americans killed and scalped his trading partner, William Bent. 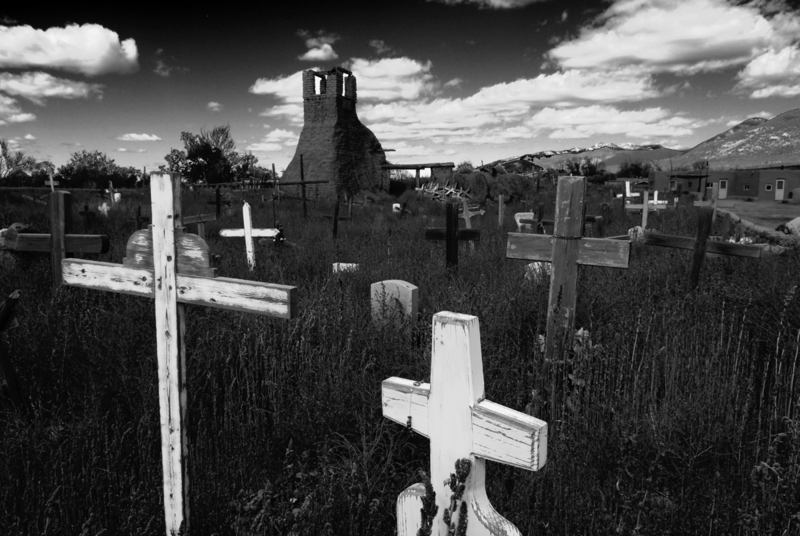 The volunteers serving under St. Vrain killed more than 150 rebel Taoans and Mexicans. St. Vrain later served as a translator for the rigged military tribunal. Deliberating for only a few minutes, the angry mob commended fifteen more souls to death. The Taoans originally followed the intricate Puebloan ceremonial cycle, but later subsumed their beliefs to Catholicism after the Reconquest in 1692. In that year, Diego de Varga retook the Southwest and subjected the natives once again to Spanish rule and the dominion of the Franciscans. Which leads to a greater irony. In April 1847, a man of French descent who carried the name of Saint Veranus, a 6th century French bishop known for his charity, bore witness against 15 Mexicans and Taoan rebels who were then hung for treason. 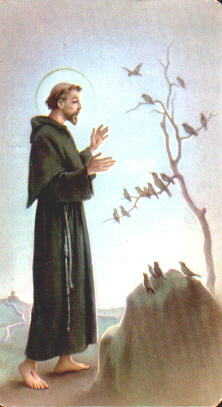 Fifteen men who had allied themselves to the will of St. Francis – patron saint of animals, the environment, Italy, merchants, stowaways, and the Cub Scouts – fell to the will and untoward legacy of St. Veranus, the patron saint of nothing in particular. An even greater tragedy is that you couldn’t make this stuff up. It’s enough to make you believe in God. And what a fellow he is. 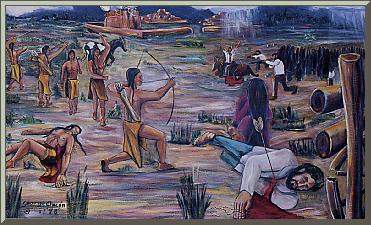 This entry was posted in Travels and tagged Ceran St. Vrain, Colorado, fur trade, God, Lyons, Planet Bluegrass, religion, Rocky Mountain, Song School, St. Francis, St. Veranus, St. Vrain River, Taos Rebellion by Andrew Lewis. Bookmark the permalink.